Dr. Nancy Dunkle has been crazy about cats ever since she got her first kitten at age six. She had wanted to be a vet even before that! In fact as a young child, she avidly watched Daktari—the story of an African veterinarian—on TV. The combination of those two passions was inevitable! Dr. Dunkle was born in Harrisburg, PA. She received her bachelor’s degree in biology from F&M College, Lancaster, PA. After college, she worked as a full-time ER veterinary technician for two years, and then went to Purdue University School of Veterinary Medicine to earn a master’s degree in veterinary physiology and a doctorate in veterinary medicine (DVM). While in veterinary school, Dr. Dunkle was selected by the Cornell Feline Health Center to spend a summer doing research in feline cardiology at the College of Veterinary Medicine at Cornell University. Her senior year externship was, of course, at a cats-only hospital in Buffalo, NY. After graduation from veterinary school in 1987, Dr. Dunkle came home to the Mid-Atlantic States and settled in South Jersey. 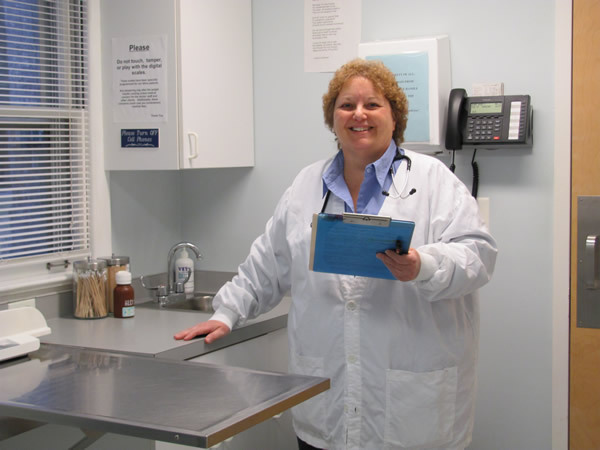 While exploring feline medicine through numerous conferences and seminars sponsored by the Cornell Feline Health Center and the American Association of Feline Practitioners, she fine-tuned her medical skills working in companion animal practices. All the while knowing that she was happiest when working with her favorite species: cats! Just like the rest of her dedicated staff, Dr. Dunkle strives to provide each patient with the same quality of care she would want for her own beloved felines! “ Since we have a cat who is diabetic we board our cat when we go on vacation. I know that he receives better care at Exclusively Cats than he does at home! Who could ask for more! ” — Kris V.